Highly accurate molds for prototype and low-volume production parts made using plastic injection molding. 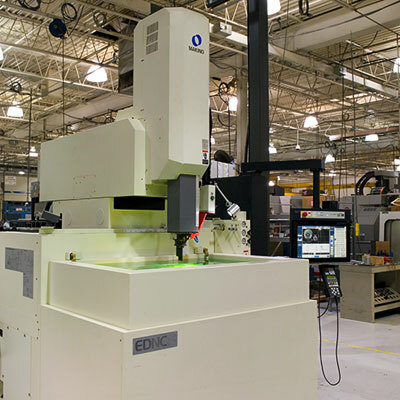 Our Electrical Discharge Machining (EDM) department houses over a dozen sinker and wire EDM machines, which we use to build highly accurate tooling for our injection molding processes. 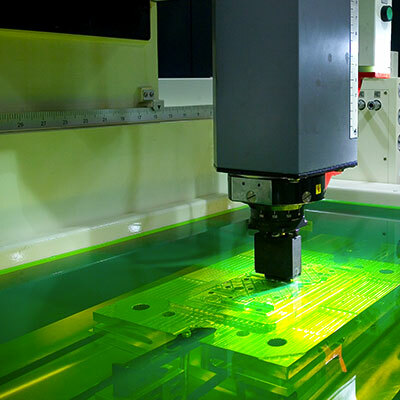 We also use our wire EDM machines to cut thick plates and make dies from especially hard, rare metals used for certain aerospace and defense prototyping and low-volume production applications.